1. Difficulty in hiding the device: You need to place the device on your hand or on the notebook. 2. Unclear writing: Generally, the writing is not clear. Further, the handwriting of the most hidden writing devices is more like a pencil. It is not dark enough. As a result, you cannot perform the effect on stage. 1. 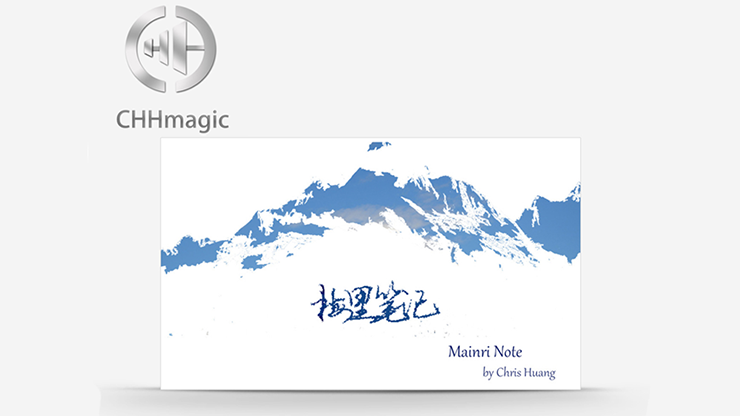 Mainri Note uses a new material. You do not need to use any device to write down the word. 2. The handwriting is very clear and dark. You can perform this trick at a party, small theater, even on stage. 3. Complete freedom for your hand. You can absolutely show you don't have any device on your hand and nothing on the notebook. 4. Easy to carry. It is suitable for most notebooks (we also provide a suitable notebook). Also, you can put the gimmick in your wallet as a little white board. 1. You cannot draw complex images or phrases. 2. You cannot let your spectator examine the writing. 3. You must be at least 1 meter away from your spectator. Q: How many times can the Mainri Note be used? A: After 1 minute, the handwriting will disappear. If you take care of the gimmick, you can use it for a long time. After writing down many words, the gimmick will wear (of course, the instructions will teach you how to solve the problem). If you don't mind some wear, you can use it forever. Q: Is this carbon paper or supermarket thermal paper? A: No, Mainri Note has a special way to trigger the writing. Only the magician knows of its presence. A: The standard Angle of hidden writing. And a special secret item.